PRICE INCLUDES: Resolution One Dimensioner and Software, Power Adaptor and Connection Bracket. 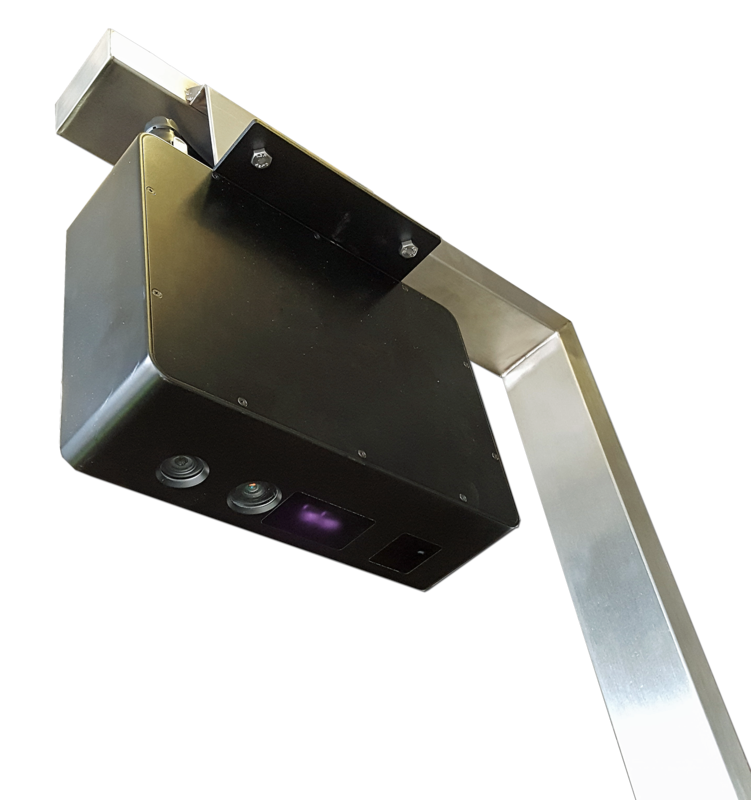 Resolution is a revolutionary low cost/high quality dimensioner that can operate stand alone or be quickly and easily integrated into any OEM system. Calculate dimensions, volume, weight, volumetric weight or dimensional weight in a fraction of a second and at a fraction of the cost of other dimensioners on the market. 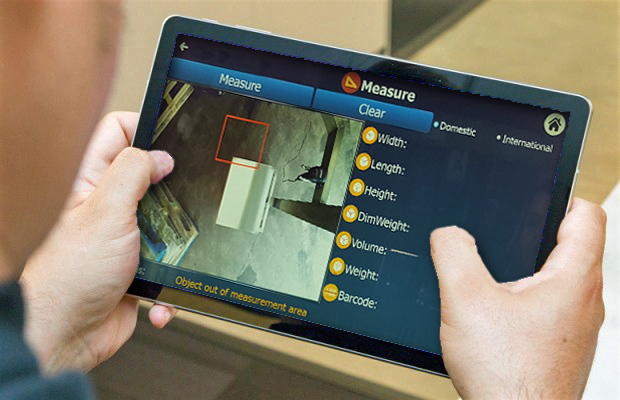 Dimensions of cubic or irregular shaped objects are instantly calculated using the latest 3D image processing technology. 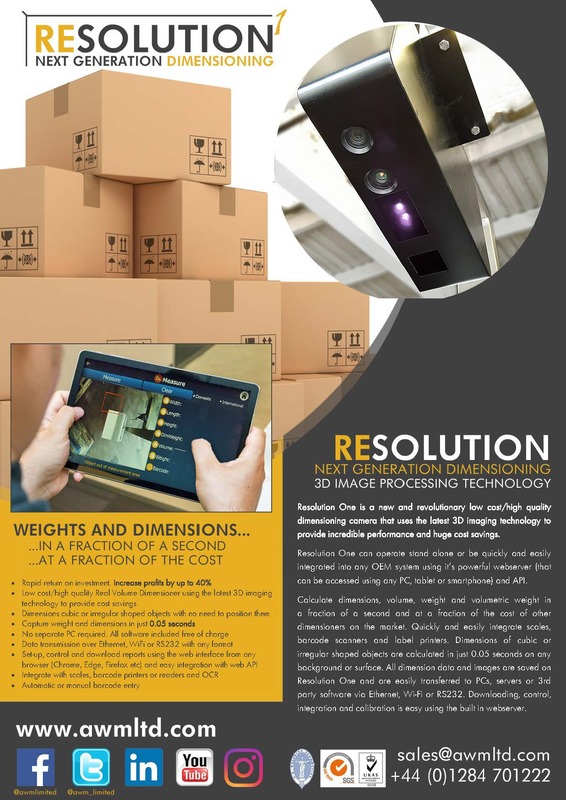 Resolution is a new generation of dimensioners that use 3D imaging technology to cut production costs and provide higher accuracy and more reliable performance at a better price. Older dimensioners that rely on outdated and less accurate ultrasonic or laser solutions just cannot compete. All dimension data and images are saved on Resolution One and easily transferred to servers or 3rd party software via Ethernet, WiFi or RS232. Integration and calibration is easy using built in web access and API. Click here for further information and pricing. 5. Automatically save the dimensioning data onto your server! COMPREHENSIVE I/O AND ACCESSORIES PROVIDE ULTIMATE, HASSLE FREE CONNECTIVITY. 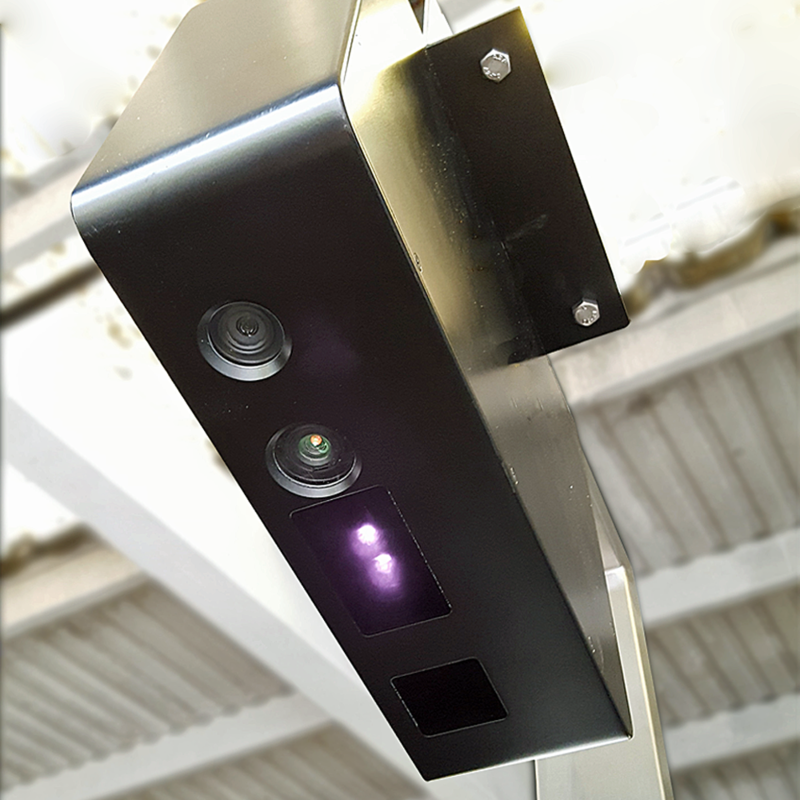 Resolution One can be supplied with an optional 15.6 inch colour touch screen that interfaces with Resolution One Camera via USB. Out of the box Resolution One supports HDMI connections and Zebra barcode printers and barcode scanners. Remote setup and support is easy - Resolution One has it's own on-board Windows operating system and can run remote access software such as teamviewer. Remote support is included for 1 year from purchase free of charge. 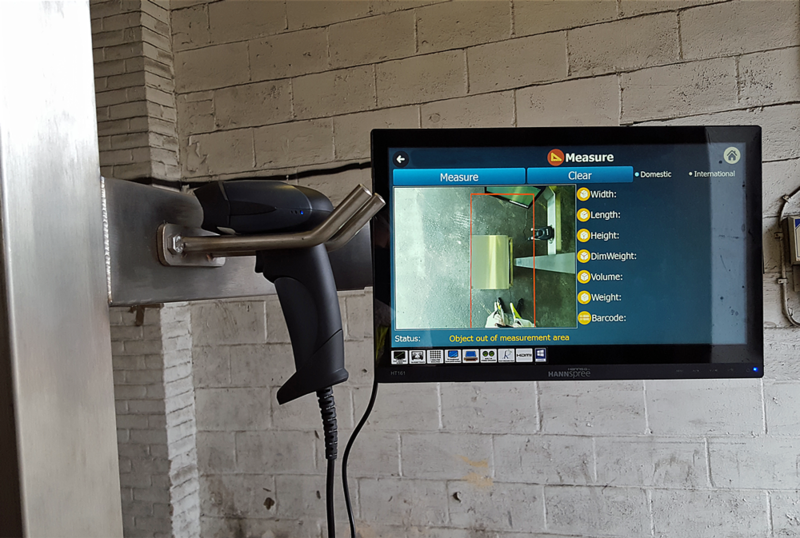 Interfacing with Resolution One is easy - you can manage conveyors, buzzers, lights just with a tap on the Touch Screen Display or control them from your own software via our powerful API. And with MODBUS extension of the API, there is almost no limit to what you can do!